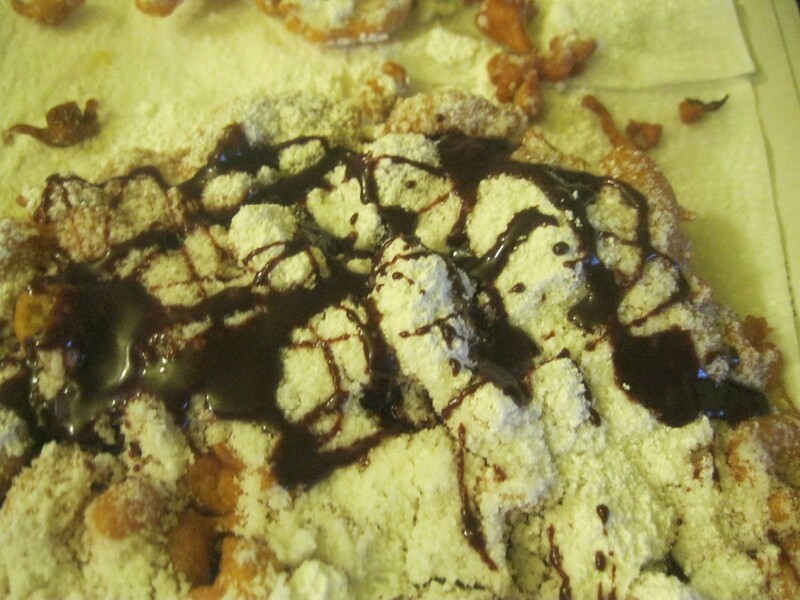 On the few occasions that we've gone to a fair or amusement park, my kids beg for the funnel cakes. I just couldn't pay so much money for a glorified donut! I was watching a cooking show one day, and they were making funnel cakes. Who knew you could make them at home? Anyway, I've tried a few different recipes and every one has come out wonderful. It's a special treat and my kids don't feel like they are missing out. Plus, it's so quick and inexpensive to make. Source: This recipe is from Sunny Anderson. Add any other toppings you may want on there; ice cream, strawberries, chocolate sauce, whipped cream, etc. 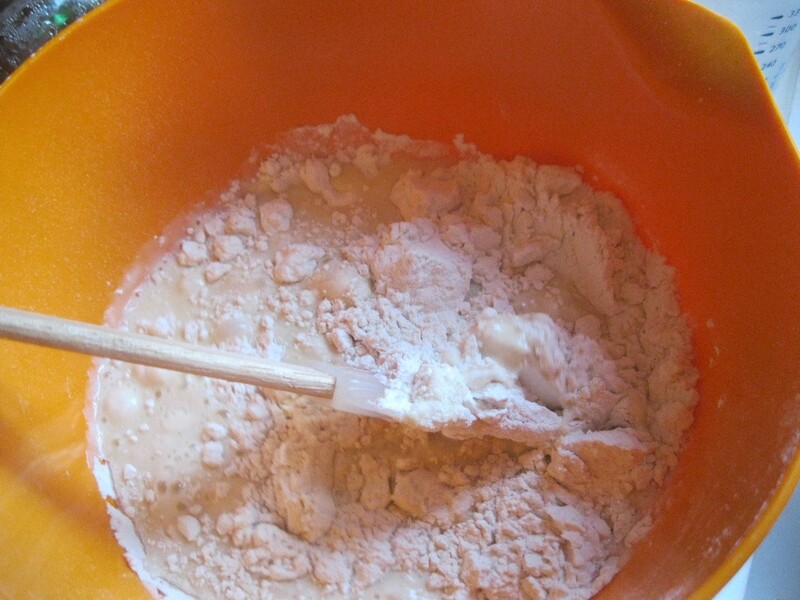 Sift the dry ingredients together (flour, baking powder, baking soda and salt). 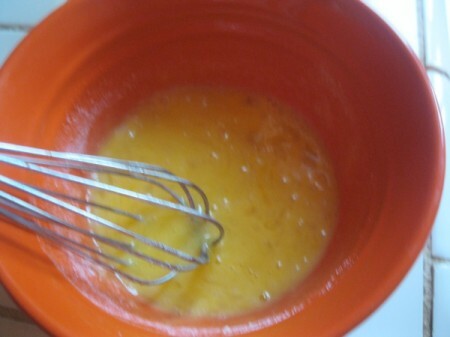 Whisk the egg and sugar together until mixture turns a pale yellow color. I whisked for about 2 minutes. Add milk to the egg mixture. Gently fold egg mixture into flour mixture. 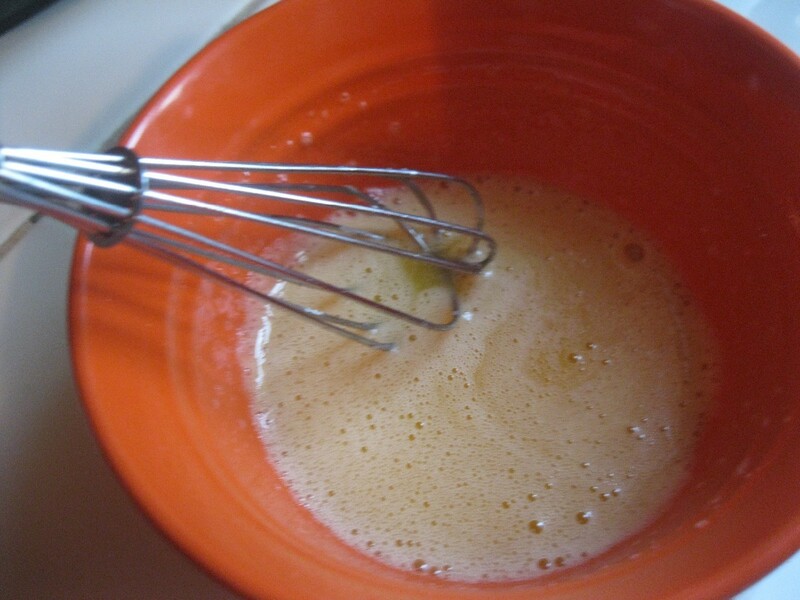 The batter should be a little thicker than pancake batter but thin enough to pour. Add more milk to loosen it, if needed. Pour oil into a large frying pan or pot, until it's 2 inches deep. Heat oil to 375 degrees F.
In the original recipe, you are supposed to use a funnel to pour the batter into the oil. You put the batter in the funnel, keeping your finger at the bottom to plug the hole. 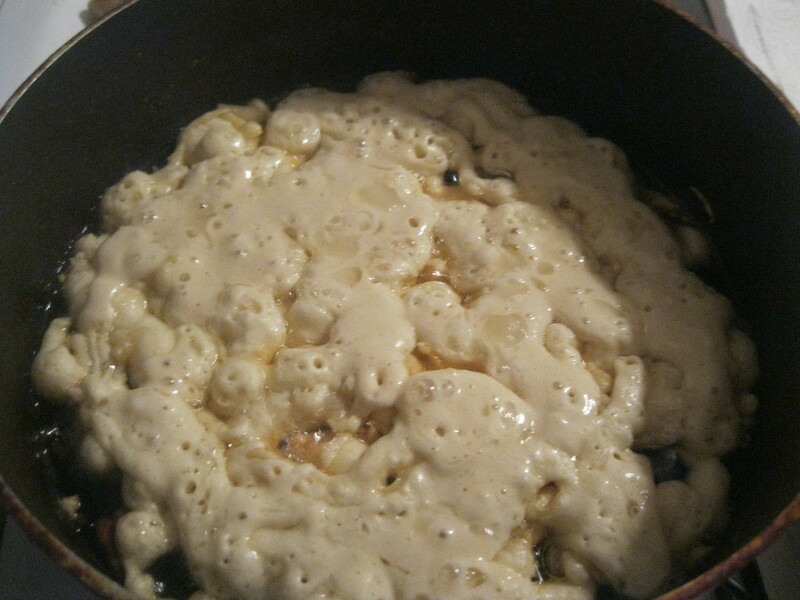 Then, once over the oil, let the batter drizzle in a crazy pattern. Since my funnels are always missing because my kids play with them in the bathtub, I just improvised. I put the batter in a container and poured it out slowly. 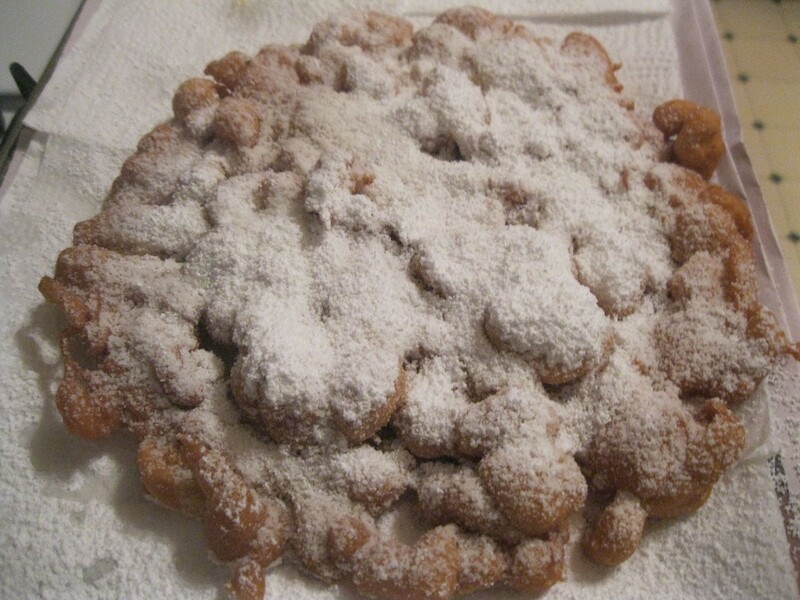 Cook on the first side until the funnel cake floats and is a golden brown color. Flip over. Cook until the bottom is golden brown. I obviously poured too much batter on this one. There should be a little less. Take cake out of the oil and let drain on paper towels. Dust with powdered sugar. Add any additional toppings. I wish I could give this 12 thumbs up! These are one of my favorite foods in the world.